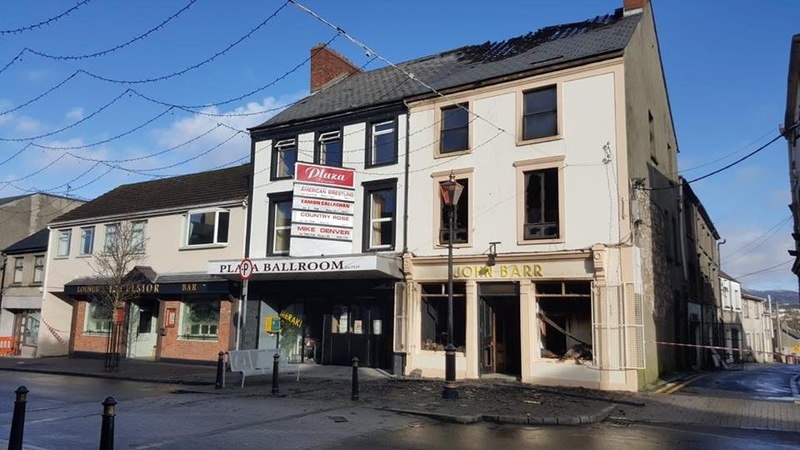 The damaged buildings on Buncrana's Main Street after the fire was brought under control in the early hours of Monday morning. 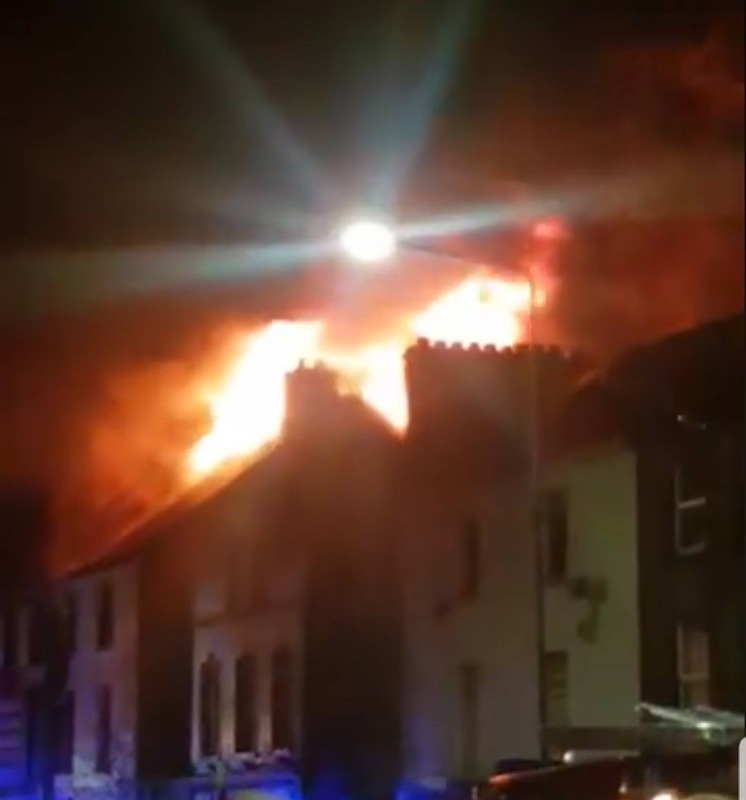 THERE is a sense of shock and devastation in Buncrana after a major fire has left two of the town’s most well-known buildings in ruins. 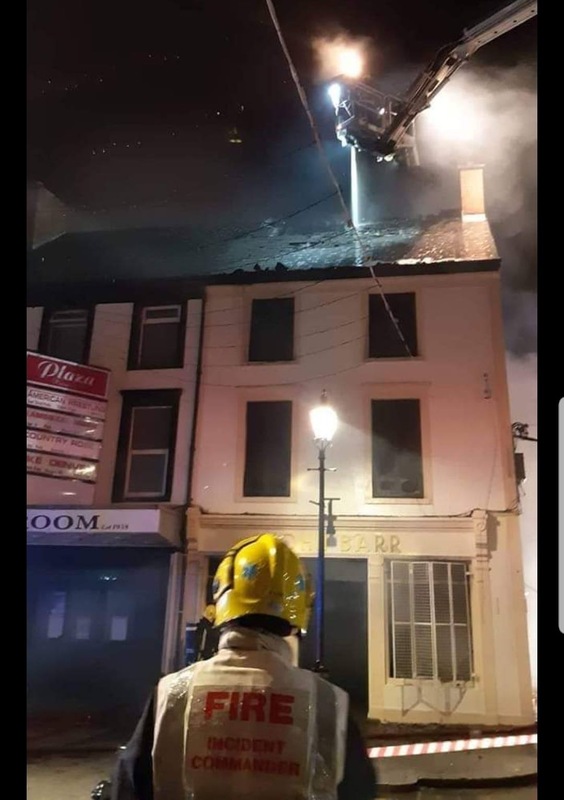 Up to 60 fire-fighters from Donegal and Derry fought the huge blaze that is understood to have taken hold in John Barr’s drapery shop just before 9pm on Sunday night. It quickly spread to the neighbouring Plaza building which was once home to the town’s historic ballroom. The damaged buildings on Buncrana’s Main Street after the fire was brought under control in the early hours of Monday morning. 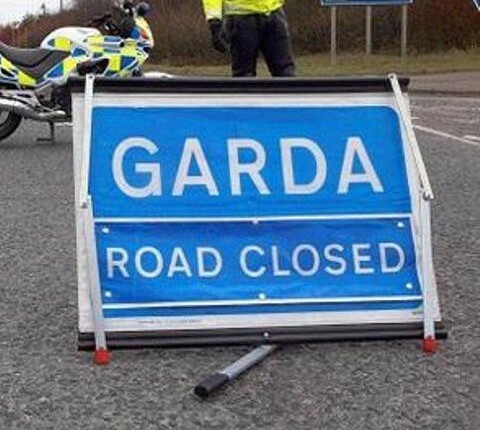 Due to the major fire which took place in buildings located at the town’s Upper Main Street, Donegal County Council, on Monday, confirmed that the Main Street will be closed from Westend to Market Square, Ferris Lane and all footpaths. 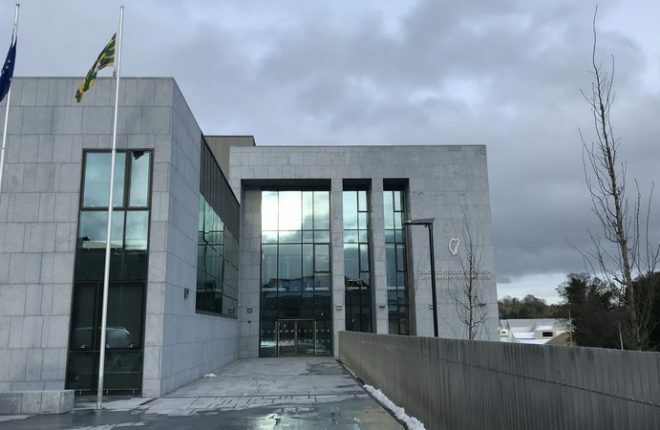 Gardai have confirmed that they are investigating the fire and Garda forensic experts are currently sifting through the ashes to see what insight can be gained into the blaze. Up to 60 fire-fighters were required to tackle the blaze. 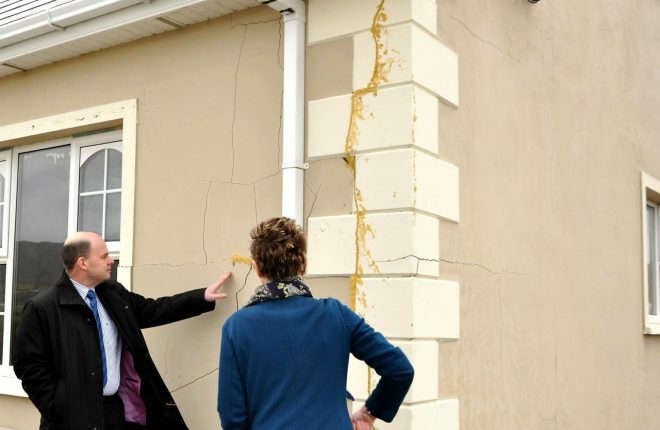 Local Senator Padraig MacLochlainn said the community were in shock at what has happened. “It’s pretty devastating news, I’ve been down to the site talking to people and the community as a whole just can’t believe it,” he said. “The two buildings are there a long time, obviously the Plaza Ballroom is pretty central to the history of area, for dances historically, and in the last 10 years it has been refurbished and its famous floor reinstated. 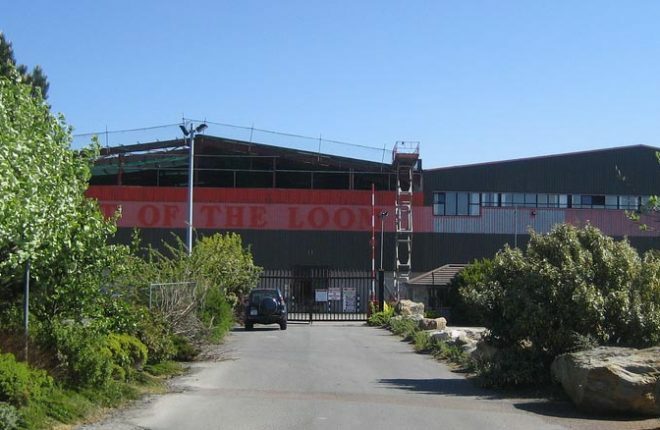 “Since that it’s been a busy venue used by the community for all kinds of things, concerts and bingo for example. “The Plaza is big deal, John Barr’s shop next to it would be extremely well known in the community too. 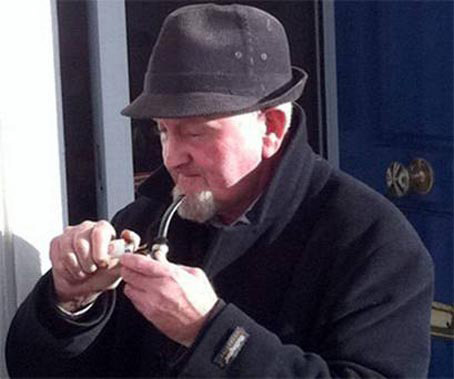 Cllr Jack Murray added: “The community is devastated. 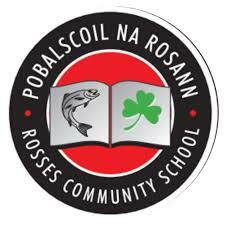 John Barr’s shop supplied nearly every school uniform in Inishowen. The Plaza is the centre of the town. Any community fundraiser, concert or gig would have been there and people all have fond memories of it. “When you walked into the plaza, the entrance was full of black and white photos of dances from the 50s and long ago. Generations of people enjoyed it. It is understood that two local families, living in flats nearby, may have to move as a result of the blaze. Examiners are also checking fears that some of the buildings which were damaged may have contained asbestos. Flames from the Main Street fire could be seen from miles around Buncrana. 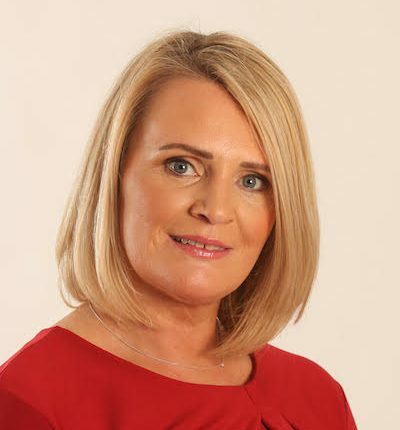 Cllr Murray added: “I have to commend the fire-fighters for all they did last night. I was at the scene at 8am this morning and there were fire-fighters who were there since 9pm. If it wasn’t for them this would have been much worse.